When you’re visiting a city for a weekend, you can just wander about and see which shops you stumble across. But if you’re living in a new country and you don’t know where to buy a loaf of bread or a pair of socks in a hurry, the simplest things get complicated quickly. Here’s our practical guide to shopping: where can you buy the basics, and when, in Ghent. There are 4 main supermarket chains in Ghent – Delhaize, Colruyt, Carrefour and Albert Heijn. Other names you’ll hear are Match, Lidl and Aldi. There are also a handful of good Asian food stores: Dun Huang on the way to Sint-Pieters train station, and Suan Thai in the city centre are two of the most popular. Like most other shops in Ghent, supermarkets are often closed on Sunday. However, there are some key branches to have in mind in case you get caught short. 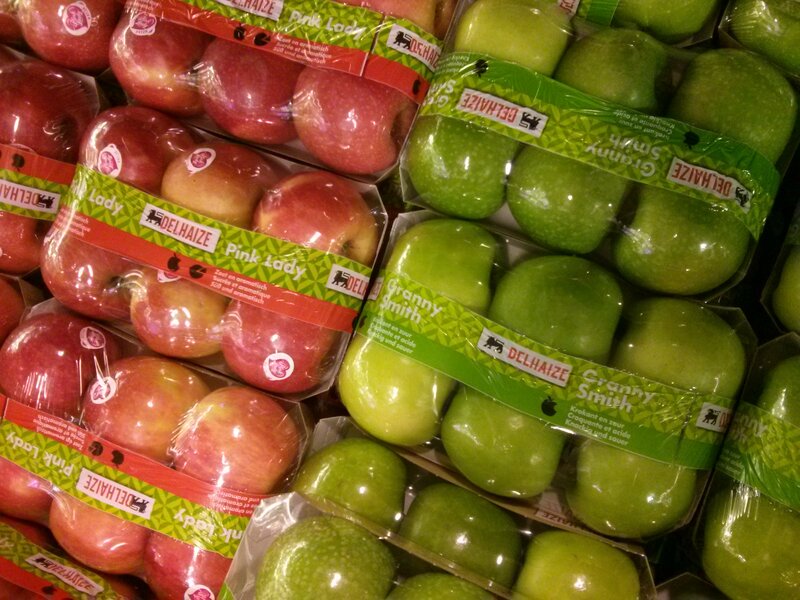 The Delhaize on Kouter square is open every day (even on Christmas Day) and its Sunday opening hours are 8am-8pm. Some of the smaller Carrefours in the town centre are also open Sunday mornings. A good place to check opening hours is: http://www.openingsuren.info. For high-street fashion from international brands, Veldstraat has the likes of Mango, Zara and Esprit. 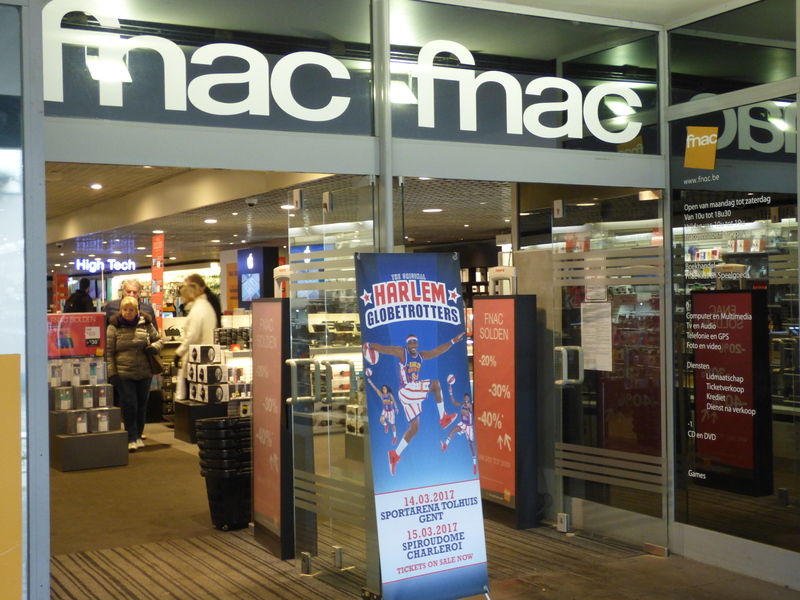 It is also home to two department stores – Inno, with six floors of fashion and cosmetics, and FNAC, which is your best bet for electronics and books, especially for its large English-language section. The road is closed to cars, but taxis and the number 1 tram line (to the train station) are allowed down here. The other main, pedestrianised shopping street is Langemuntstraat, which runs between Groentenmarkt and Vrijdagsmarkt squares. This street has a lot of shoe shops, plus a Primark. Brabantdam, and the side streets off it, has high-end fashion stores aplenty. 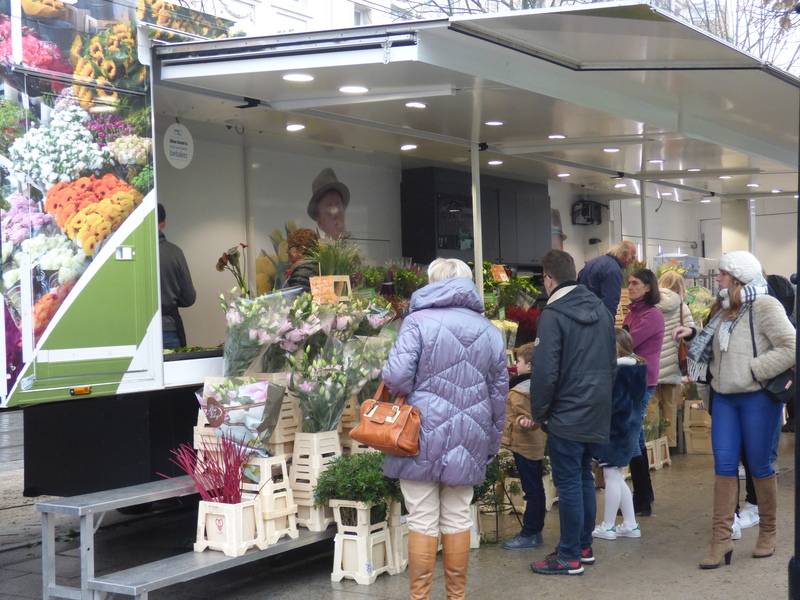 You’ll find clothes, electronics and fresh produce on the Vrijdagsmarkt square every Friday between 7.30am and 1pm and Saturdays 11am-6.30pm. Pick up an antique just around the corner outside Sint Jakobskerk church (Fridays-Sundays 8am-1pm). Tables of books line the banks of the river along Ajuinlei (Sundays only, 9am-1pm), and flowers fill the Kouter every day from 7am-1pm, but Sunday has the biggest selection. On Sundays you’ll also find a small organic food market at Gent Sint Pieters train station. When it comes to selling books De Slegte on Voldersstraat will buy them off you – just show up with a box and they will quote you a figure. Shops are open the first Sunday of every month (and public transport is also free that day). Look out for the signs saying ‘solden’ during the sales periods of the year. Shops are legally only allowed to run sales in two months of the year – January and July. 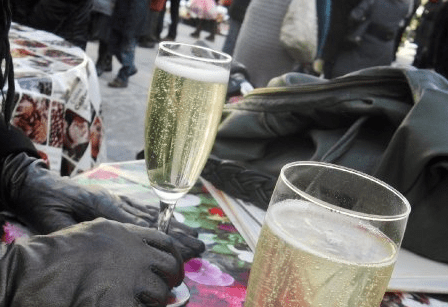 A typical thing for a Sunday morning in Ghent is to pick up some flowers from the Kouter market and then stop off at the Blauwe Kiosk (which is in fact only open on Sundays) to kick-start the day with oysters and champagne. Ghent’s main shopping centre, Shopping Gent Zuid (open until 7pm), is out of the historic city centre so it’s often a quieter place to shop. It also has a large Match supermarket in the basement. Dok Noord in the northern part of the city is still being built but is already starting to offer a range of shops. HEMA is a useful department store to know about. In terms of prices it competes with IKEA and Primark, so it’s great for household items if you’ve just arrived. 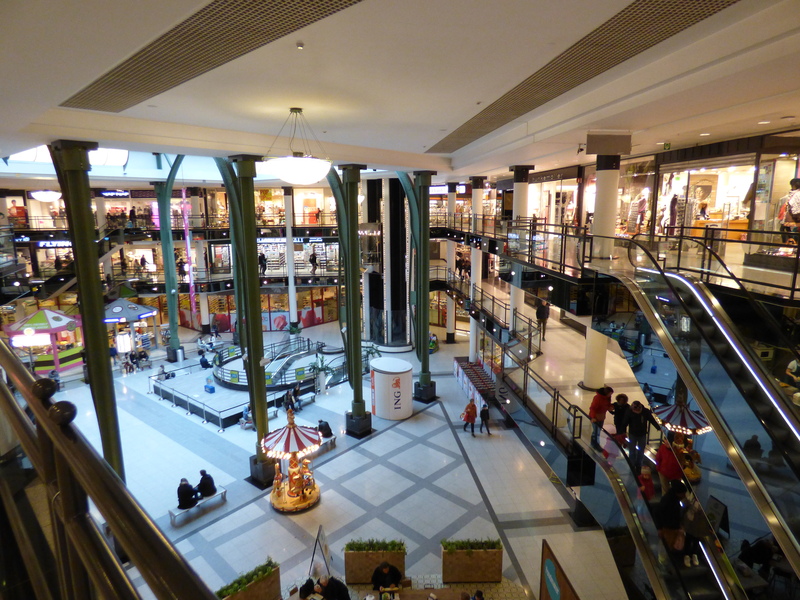 There are two branches – one on the central Korenmarkt and one in the Shopping Gent Zuid. And the cafe terrace at the top of the branch on the Korenmarkt has great views over the square. Another classic port of call for everyday household items is Blokker.